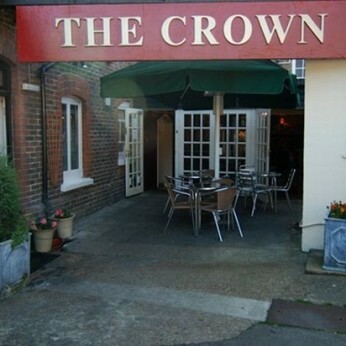 Crown Hotel in Emsworth has accommodation. The pub has a beer garden, it serves food. Crown Hotel has a function room that can be booked. The pub has an outside area, it serves real ale. Crown Hotel shows live comedy. The pub has DJ's, it has karaoke. Crown Hotel has live music events. The pub holds quiz nights, it shows football on TV. Crown Hotel is a member of Cask Marque.